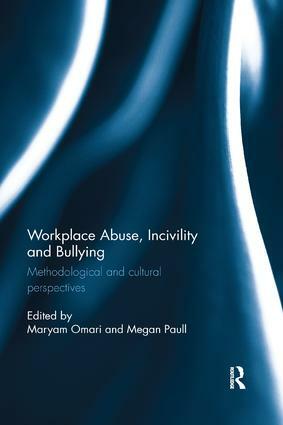 This book bridges an existing gap in the literature relating to the study of workplace abuse, incivility and bullying. It provides broad perspectives to capture some of the diversity associated with the study of (negative) human behaviours using different methodological approaches, and in different cultural contexts. Studies in the area have grown in leaps and bounds over the last few decades. As we come to know more about the nature of these adverse behaviours, the reasons they happen, and the impact they have on individuals and beyond, new gaps in knowledge emerge. On one hand the paucity of research is assisting in better understanding and management of these negative behaviours, on another, generalised information without an appreciation of the context in which the behaviours unfold may be detrimental to the cause, especially given a globalised and multicultural world. Workplace Abuse, Incivility and Bullying presents findings from under-researched methodological, and unique cultural perspectives. Such an approach will allow us to gain deep insights into the diversity and complexities associated with perceiving, being subjected to, and experiencing negative behaviours at work. The book has applicability across a broad range of audience from academics through to practitioners, and even victims and suspected perpetrators.